The Himalayan Art Resource blog recently posted this very informative article on Marpa, and clarifies the term “lineage”. At the site, one can also view a diagram showing Marpa’s main teachers and students. 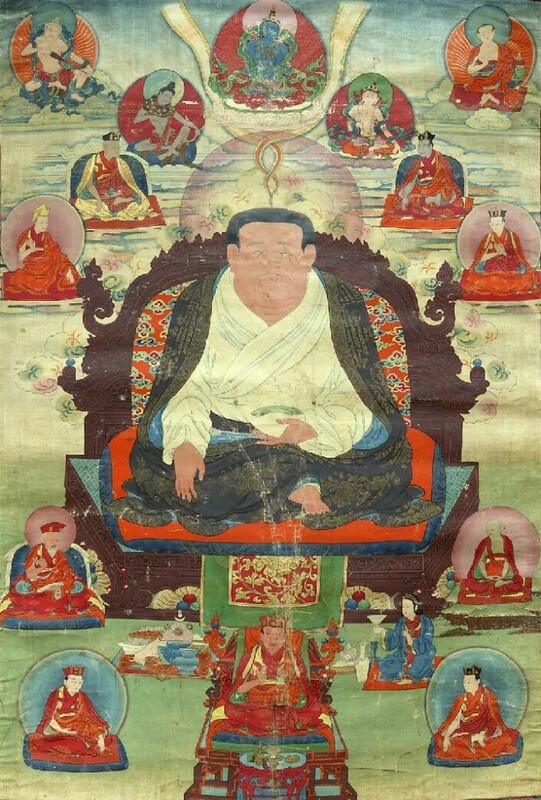 Marpa Chokyi Lodro is credited with the founding of the Marpa Kagyu Tradition of Tibetan Buddhism. He had a number of well known teachers in Tibet, Nepal and India. The most famous teacher was the Indian siddha Naropa. From amongst the many students, Milarepa is the most well known. Each of Marpa’s teachers and each of Marpa’s students had many other disciple students. From each of these teachers and students arose numerous lineages of teachings. Some of the lineages of teachings remained within schools and traditions named after the many students while other lineages were absorbed into the Sakya, Jonang or Gelug Traditions. The word lineage refers more accurately to a specific line of teachings, a specific transmission from a text or oral tradition, on a specific topic, such as Hevajra, Chakrasamvara or Guhyasamaja. For the Mahayana traditions there are the individual lineages of the Bodhisattva ordinations from the Madhyamaka and Yogachara. For the Hinayana Tradition there are the lineages of monastic ordination which can come from a number of different lineage traditions such as the Sarvastavadin from India. There are numerous Tibetan lineages of monastic ordination with the specific lineage of Shakyashri Bhadra being particularly well known. A school or tradition, such as the Kagyu School or Kagyu Tradition is a social and political construct. Schools and Traditions, two words often used interchangeably, are larger repositories for the hundreds of individual lines of teachings, i.e. Tibetan Lineages. An example of a lineage in the Marpa Kagyu Tradition would be the Ganges River Mahamudra taught by Naropa to Marpa. Another would be the Chakrasamvara instructions taught by the Pamting Brothers of Nepal to Marpa. It is always important to learn the differences early on between schools/traditions and specific teaching lineages. This entry was posted on Sunday, December 18th, 2011 at 10:08 pm and is filed under Diamond Way Buddhism. You can follow any responses to this entry through the RSS 2.0 feed. You can leave a response, or trackback from your own site.